This Decoding Strategies Anchor Chart is a must-have for Guided Reading. It includes two versions of the anchor chart to support your student's understanding of decoding strategies using animals and short phrase for students to remember each strategy. The friendly animals and picture clues will help student remember the strategies and motivated to refer to the resource when needed. 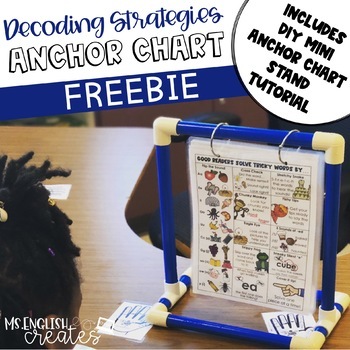 This FREEBIE also includes a quick tutorial on how to make you very own DIY Mini Anchor Chart Stand.